Driver Easy 5.6.0 is Available Now! Howdy buddies! Hope all of you are doing great! Today we bring you Driver Easy 5.6.0, a brand new version with more improved features! Check it out! 1. We’ve been paying extra attention to the driver security to provide secure and stable drivers for you, which is what we are committed to all the time. 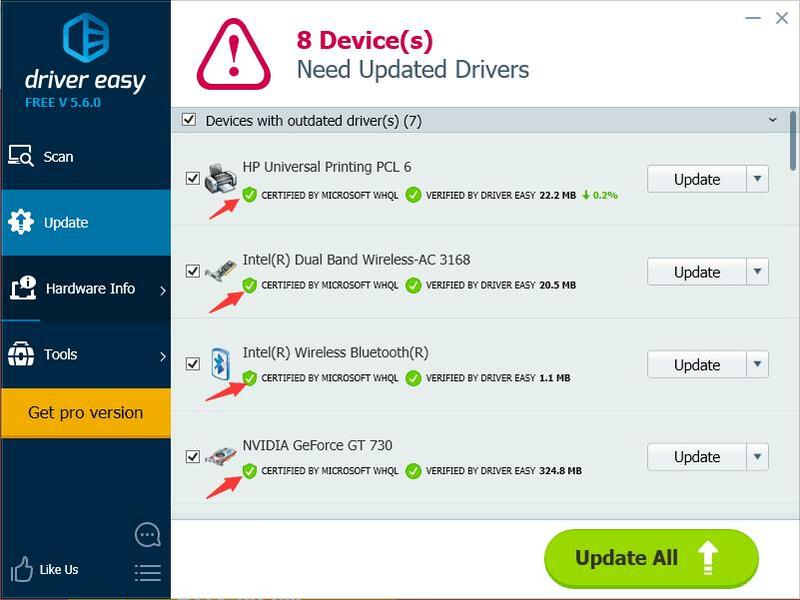 Meanwhile, we find it important to for you to know for sure that drivers you are installing are safe and secure, so we’ve been striving to improve features to let you know more detailed information about the device drivers. A brand new feature is introduced in Driver Easy 5.6.0. We add WHQL certification information on the Update page under the device drivers. And you can click the icon to learn more about it. 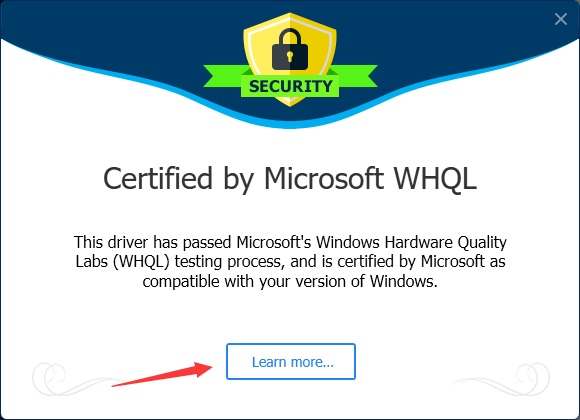 The device driver with the icon means that the driver has passed Microsoft’s rigious Windows Hardware Quality Labs (WHQL) testing process, and is certified by Microsoft as compatible with your current Windows system. So you can see the drivers we provide is safe, secure, and compatible with Windows and all the most popular combinations of hardware and software. Click here to learn more about WHQL. 2. You must feel annoyed if your PC stops downloading drivers after the Windows goes into the sleep mode. We add a feature to prevent your PC from going into the sleep mode when Driver Easy is downloading or installing drivers for your computer, so you don’t need to worry the downloading process stops due to the sleep mode. 4. We enhance the feedback function for scanning or activating. 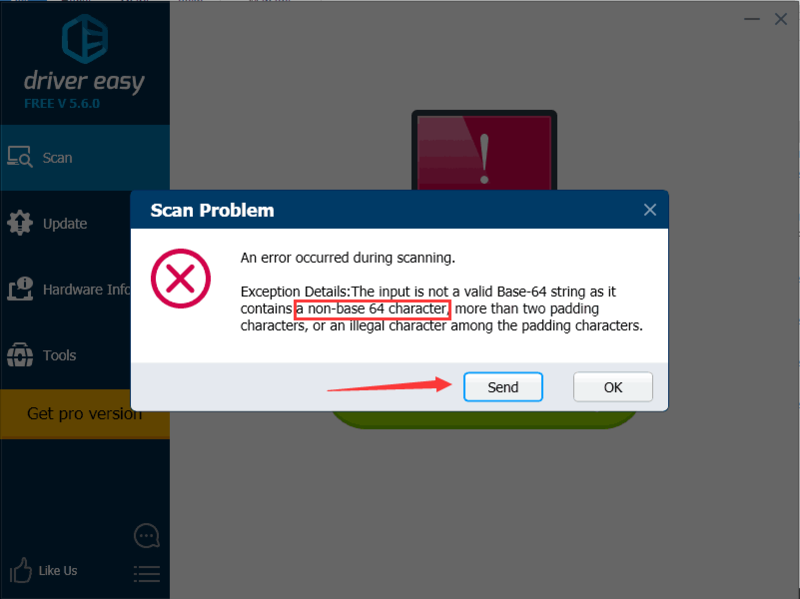 You can now click the Send button to directly report the base64 error, and our tech team will receive your problem report and solve it for you quickly. Additionally, we can greatly reduce the possibility that other users may encounter the same problems because of your warm-hearted help. 5. We add the Scroll Bar in the Offline Scan list, so you can scroll up and down to check your device list when there are many items listed. Furthermore, we also improve the design for the scroll bar so you can have a clearer view of the update list, and the design of the background on the Update page, and also fix a bug about the scroll bar on the Update page: The scroll bar goes automatically to the top when you scan for the second time now. 6. We fix a bug with the scheduled scan feature. You can choose to whether to create a scheduled task when you install Driver Easy. You can also modify the scheduled task setting in Settings to enable or disable the scan task whenever you like. The same setting applies to your system. 7. We improve the design of the installation process, the download percentage and file size design. 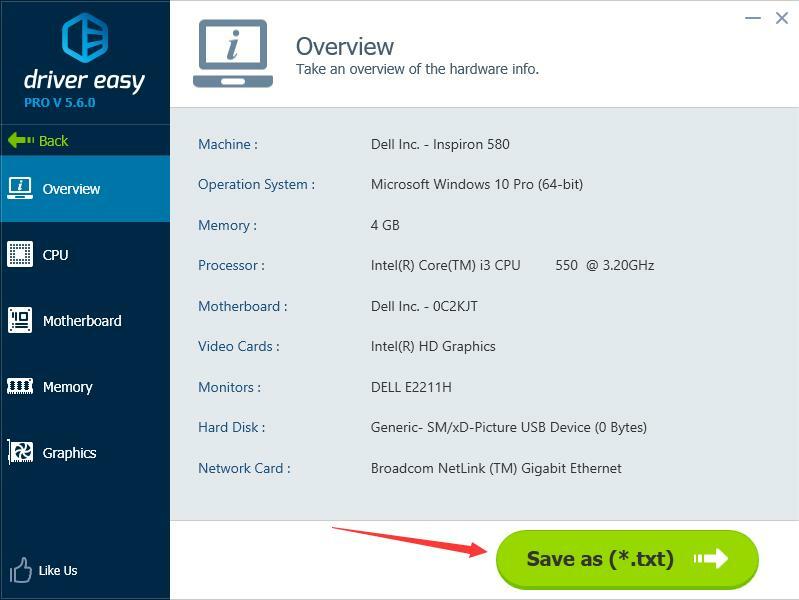 You’ll have a better user experience when installing and using Driver Easy. All we do is to provide a better, more secure and stable Driver Easy for you.